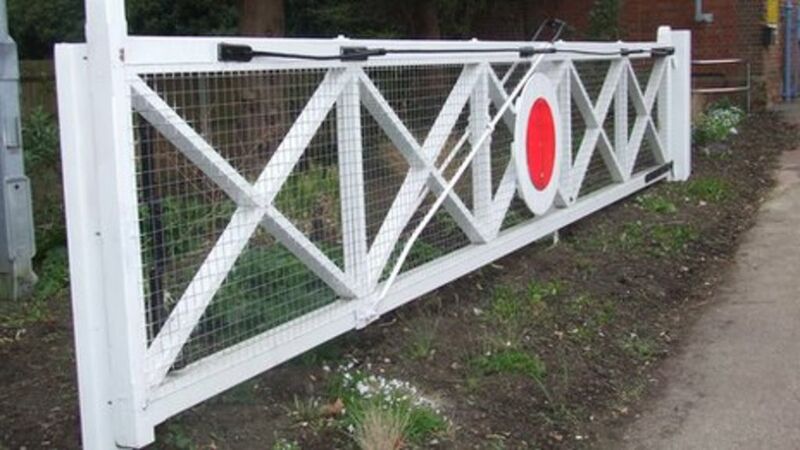 A pair of old railway crossing gates that were once synonymous with an Essex resort have been given a new home. The manned metal gates in Frinton-on-Sea, which feature on the town's emblem, were replaced with automatic ones by Network Rail in 2009. They have now been relocated to a site within the train station gardens. A pair of old railway crossing gates that were once synonymous with an Essex resort are given a new home. Frinton on Sea finally ceased to be a gated community in April 2009 when the level crossing on the only road access was converted to automatic barriers. This view of the crossing, taken on the evening of Sunday August 23rd 1981, shows a summer EMU service from Walton on Naze returning day trippers back up the line to Colchester.